On Thursday we covered claims from Spain that Dani Ceballos had been prevented from joining Liverpool in the January transfer window. The Reds were keen, and Ceballos himself is said to have fancied the move, but Real Madrid stood in his way. 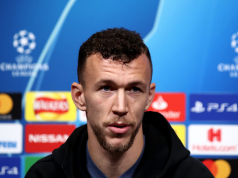 Liverpool have been linked to the midfielder since 2015, when they were reportedly trying to sign him on a free transfer from Real Betis, as his contract was running out. According to the 2015 claims, Ceballos was offered a house, car, and €1.5m a year to move to Anfield, but he’d almost certainly want quite a bit more now. Mundo Deportivo have a look at the player’s situation in their Friday edition and say he ‘could force his departure’ from Real Madrid in the summer window. The player’s relationship with Zinedine Zidane is presented as being poor to say the least. 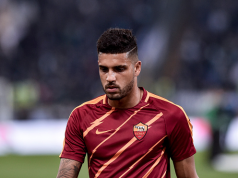 There’s even a rumour that Ceballos had an argument with his manager and threatened to go to the media to reveal the special treatment some players receive at Madrid. It’s probably best he doesn’t do that, it’s hardly shocking news, and he’d only hurt himself. What must be noted is that Mundo Deportivo are a Catalan newspaper, and with Ceballos choosing Real Madrid over Barcelona last summer, there’s always likely to be some bitterness. 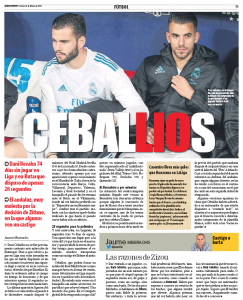 In a ‘serves him right for choosing them’ kind of way, some in the Catalan media will want Ceballos’ Real Madrid move to be as much a failure as possible. But it can’t be denied the 21 year old isn’t getting the game time he probably wanted, and that would give hope to Liverpool if their interest is genuine.